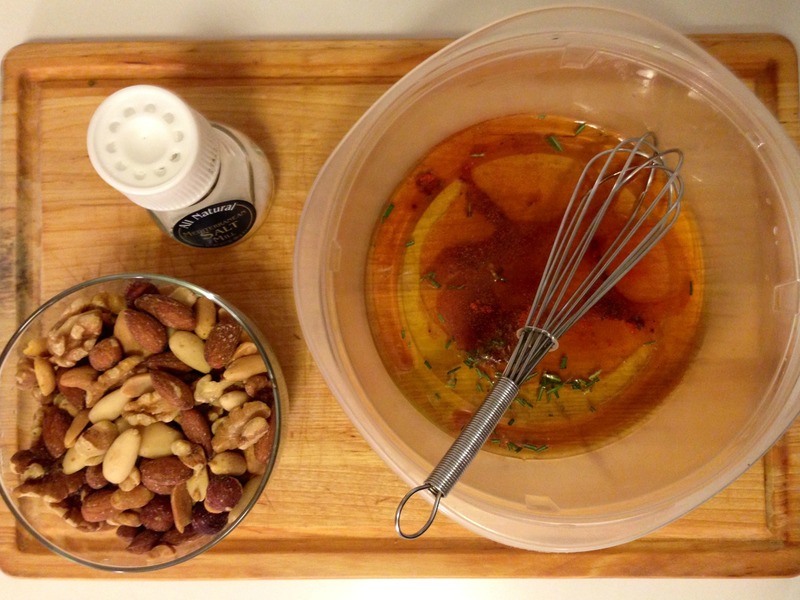 One of my favorite weekly rituals (and I warn you, I have many), is to come home on a Monday after work and make a tray of these roasted nuts. 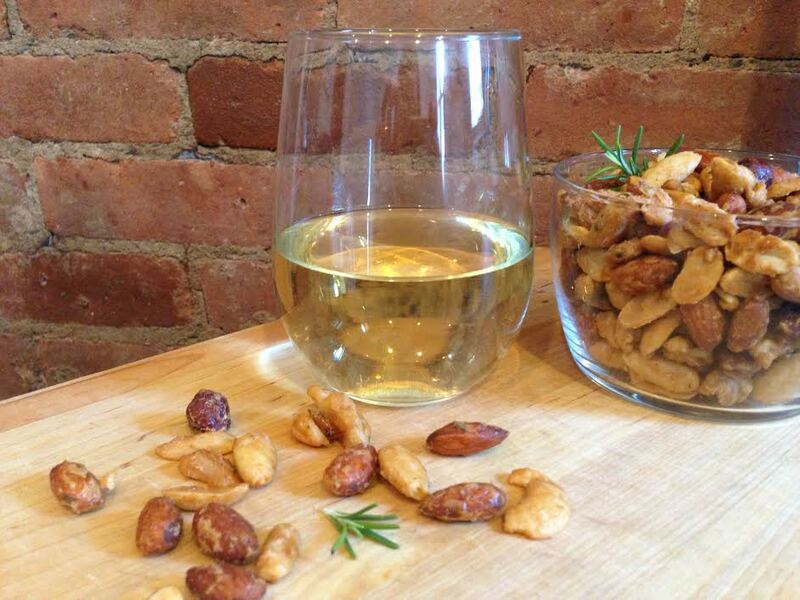 I’ll pour a glass of wine when they’re done and then go sit and watch the news or read a magazine. To me, it’s the equivalent of unwinding at a bar during happy hour at home. 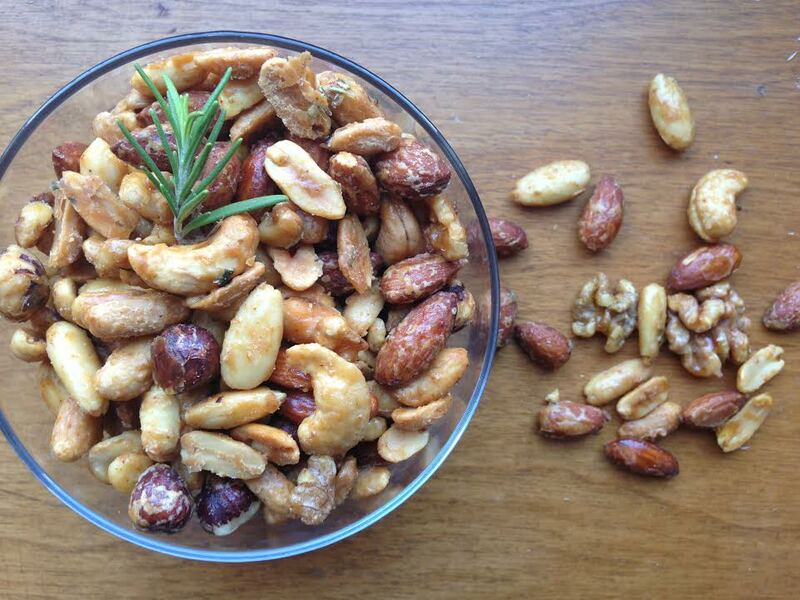 These nuts are rustic, smoky, earthy, sweet, spicy and salty. They’re wonderfully balanced. 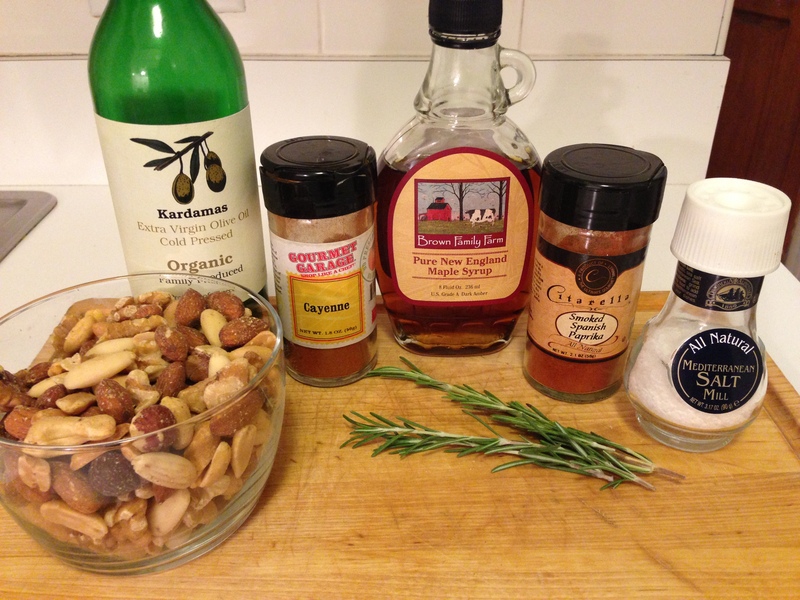 I encourage you to whip up a batch of these guys at your next party or whenever you feel like bringing happy hour home. They’re guaranteed to go fast, so you may end up making more than one batch. Begin by preheating your oven to 350 degrees F. Line a baking sheet with aluminum foil. 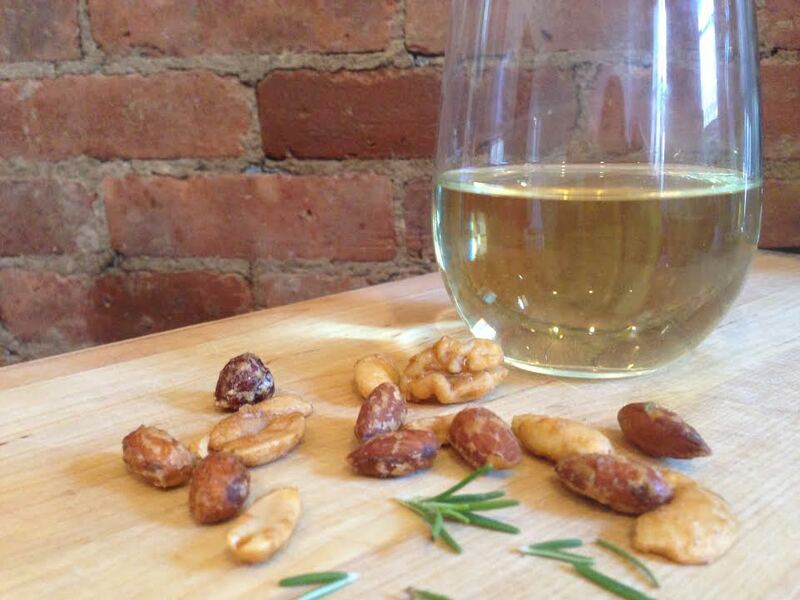 Finely chop your rosemary and add it to a large bowl. Add the maple syrup, olive oil, cayenne and paprika. Whisk to combine. 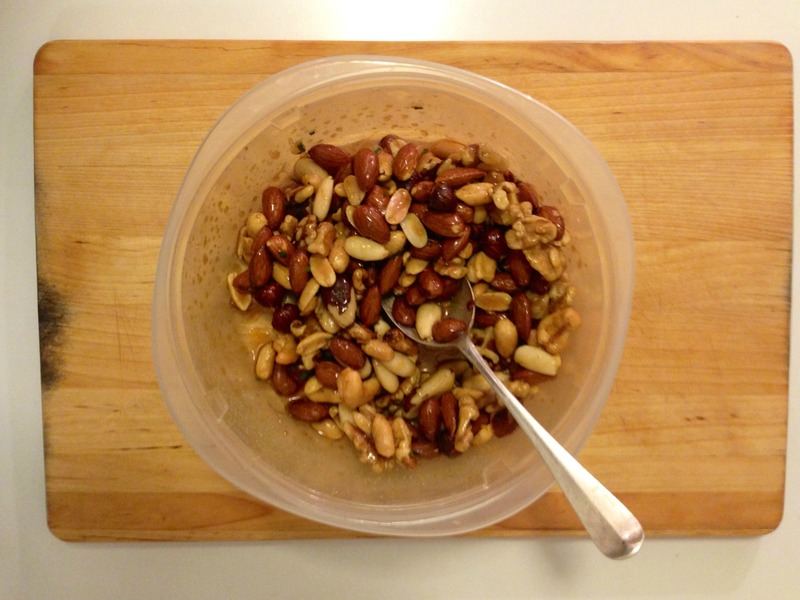 Pour the nuts into the bowl and stir with a large spoon until they’re all evenly coated. 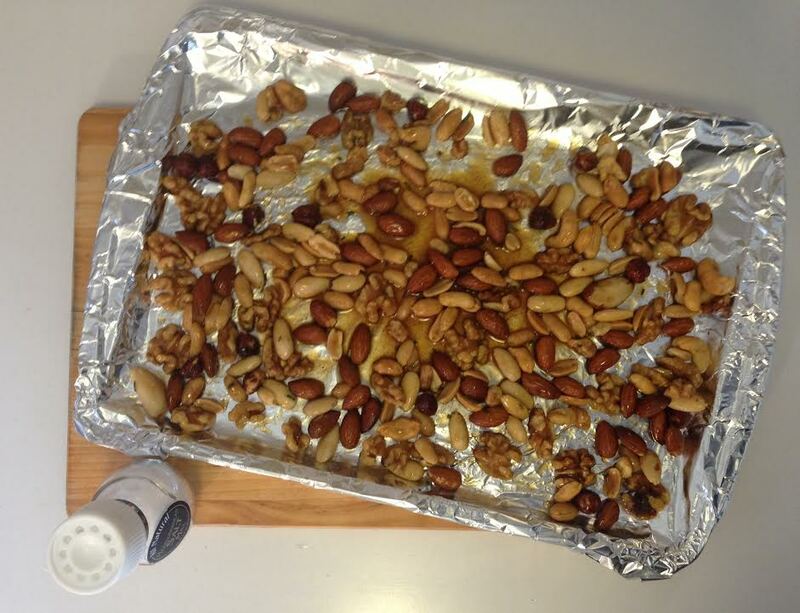 Pour the coated nuts on your foil-lined baking sheet, spreading them out evenly as you go. Sprinkle salt over them and place them into the oven for 12 minutes. Turn them with a spatula halfway through cooking time (that’s 6 minutes for all you out there who struggle with math, myself included). After 12 minutes, remove them from the oven and give them one final flip. Set them aside so that they can harden as they cool. Fieldhouse Fun Fact: One of the first things I did when I returned to the States after studying abroad in Ireland was ship some pure Vermont maple syrup over to an Irish friend of mine who told me he had never tried the stuff nor had pancakes. No one should go without pure maple syrup in their lives. And I have to say, after he mastered the challenge/art of making pancakes, he was hooked! 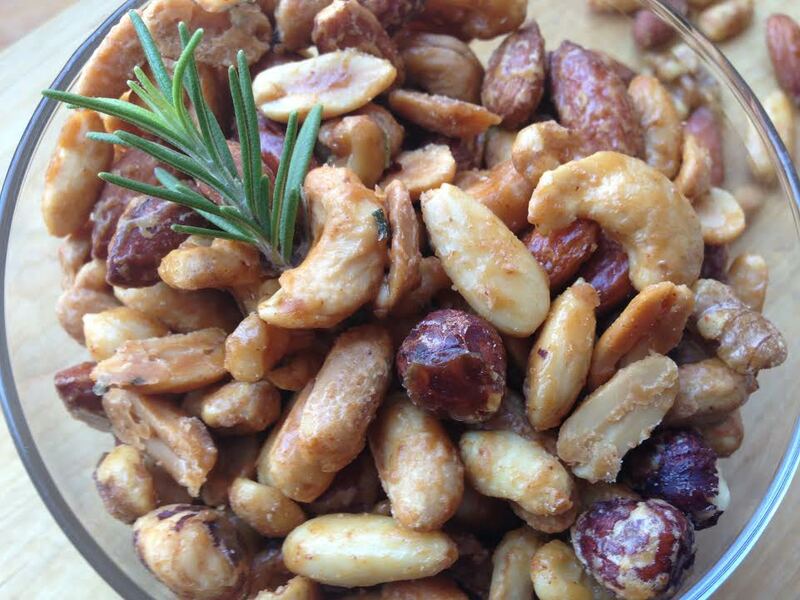 These are “to die for!” I look fwd to reading more of your postings.